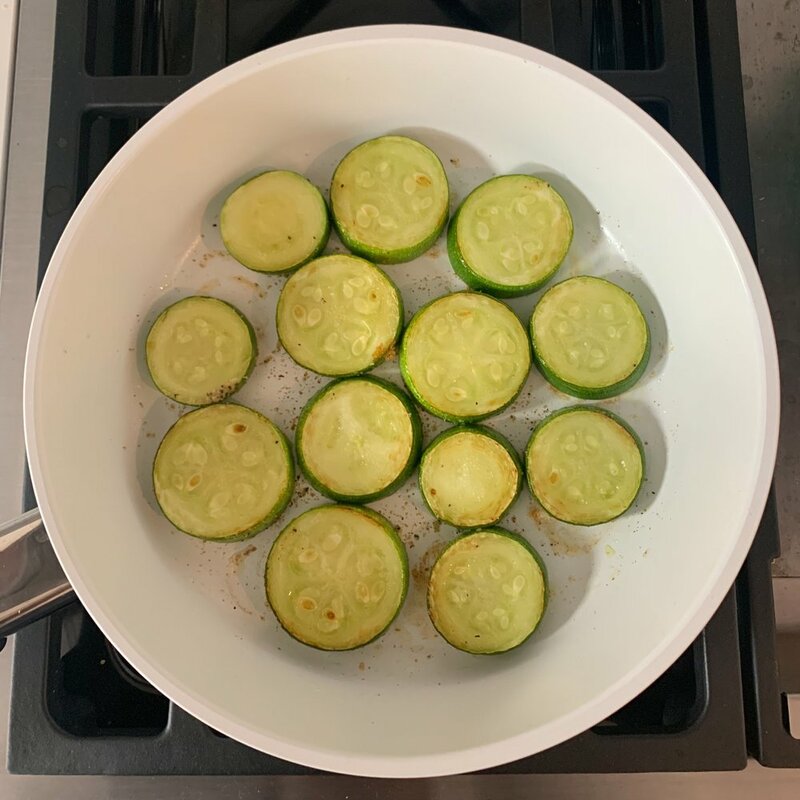 A simple and easy zucchini recipe that comes together with just a few ingredients and a couple of steps. Although it's still not quite summer here in Portland, zucchini has started to come into our local grocery stores. This summer vegetable doesn’t need to be cooked into complicated dishes. There are many recipes that require minimal preparation using zucchini while incorporating a lot of flavors! 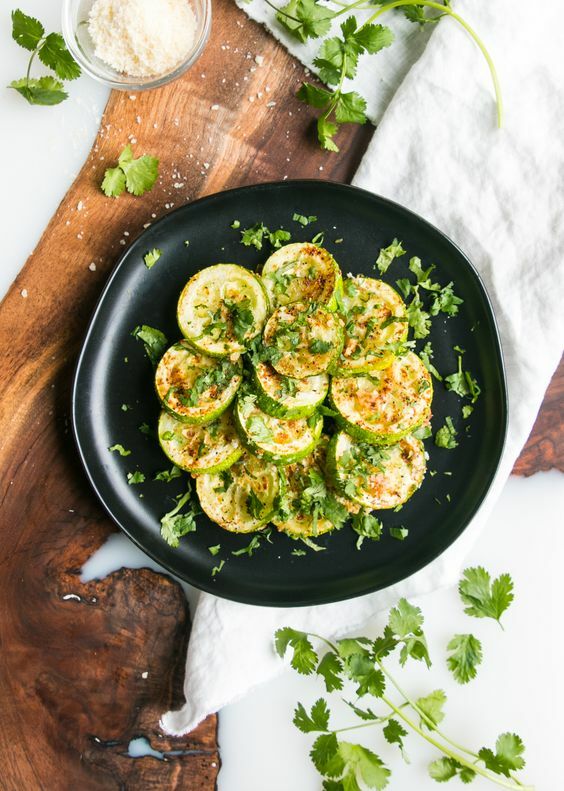 This easy zucchini recipe is perfect just on its own or as a side dish. Very low in calories- 1 medium zucchini is 33 calories! High in fiber and potassium- supports a healthy heart. Energy- the B-vitamins in zucchini can help to boost energy production in the body. Improves thyroid- zucchini contains high amounts of vitamin C and polyphenols, especially in the peels. Treat puffy eyes- place slices of raw zucchini over the eyes and leave for about 30 minutes. It’s as simple as it looks. Make sure to wash the vegetable, but do not peel. You don’t want to get rid of the nutritional benefits the peel of the zucchini provides. Slice the zucchini, but make sure not to make the slices too thin, this will leave the zucchini soggy after cooking. You want the slices to be about 1/2inch in size — next, heat ghee in a skillet. I like to use ghee because it's so much healthier than butter, and I honestly don’t see a difference in the taste of food. However, if you like butter that much, go ahead and use it in this recipe, totally fine. Then sprinkle each slice with the garlic mix and cook each side of the zucchini. In the end, sprinkle with parmesan cheese and garnish with some cilantro! Wash zucchini thoroughly, then slice it into thick round slices. Over medium heat, melt butter. Add zucchini to the skillet. Combine garlic powder, salt, and pepper, then sprinkle half of the mix on each zucchini. Let the slices cook for 5 minutes until they start getting golden brown. Flip zucchini over, season with the rest of the garlic mixture, and let them cook for another 3 minutes. Sprinkle parmesan cheese on zucchini, flip over and cook for 1 minute more. Garnish with cilantro (or parsley). Side note: They’re better when served immediately. 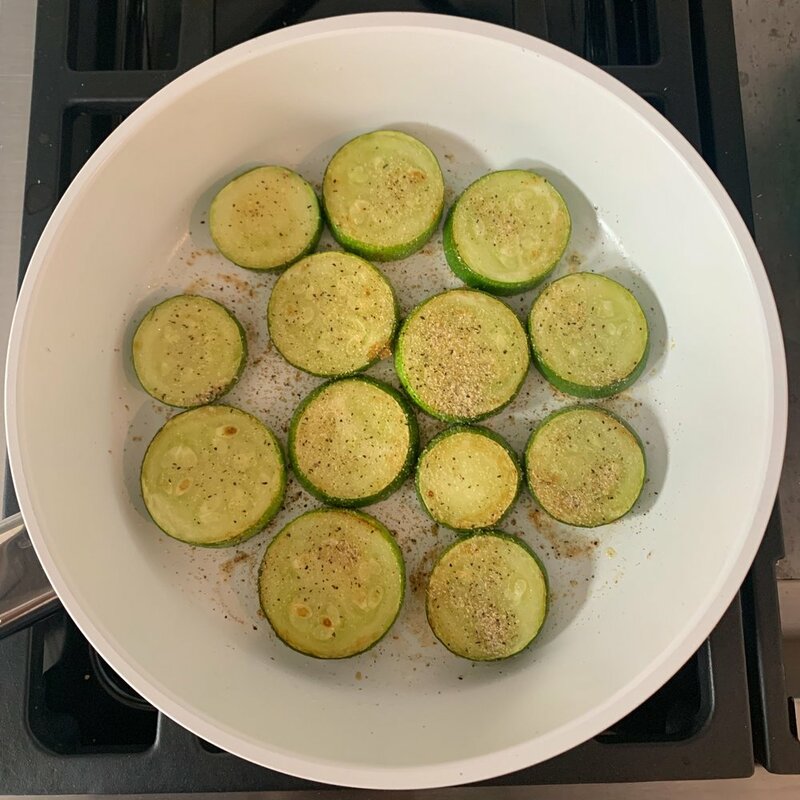 Combine garlic powder, salt and pepper, sprinkle half of the mix on each zucchini. Flip zucchini over, season with the rest of the garlic mixture. Let them cook for another 3 minutes.